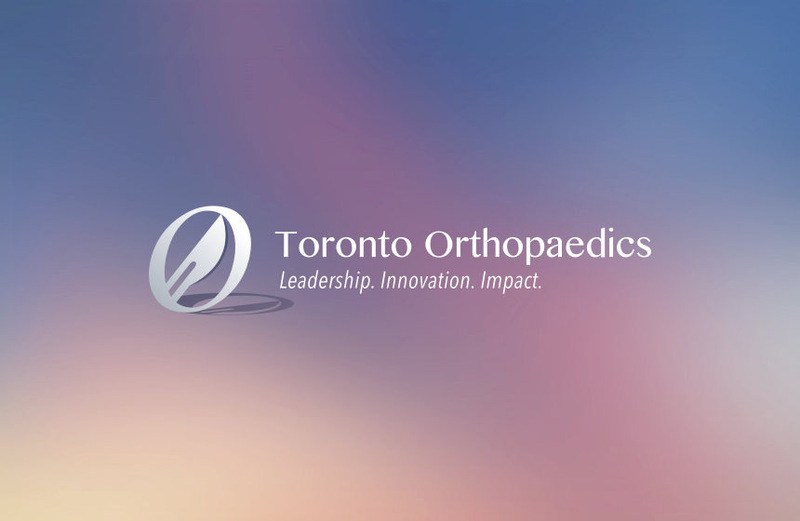 In July of 2009, the Division of Orthopaedic Surgery at the University of Toronto implemented a pilot program for a subset of trainees in the residency training program that used a competency-based framework. 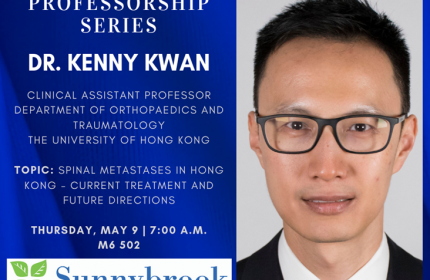 This was done as a pilot project in anticipation of an emerging movement to restructure postgraduate training across specialty education in Canada. The pilot training program, referred to as the Competency-Based Curriculum (CBC), responded to the changing demands in postgraduate medical education and a growing understanding of the limits of a strictly time-based postgraduate system. attestation of competence once a resident has met all of the stated curricular objectives, as opposed to a strictly time-based structure. Approval for this initiative was provided by the RCPSC through a FIRE (Fundamental Innovations in Residency Education) application, which continues until 2020. Based on the experience with the pilot, the Division of Orthopaedic Surgery fully transitioned to the CBC in the 2013-14 academic year. That year, the RCPSC announced a Competence by Design (CBD) initiative, which mandated that all postgraduate specialty programs in Canada are to adopt a competency-based framework by the year 2022. The Division will transition its current CBC to meet the demands of the CBD initiative in the 2020-2021 academic year. Nousiainen MT, McQueen SA, Ferguson P, Alman B, Kraemer W, Safir O, Reznick R, Sonnadara R. Simulation for teaching orthopaedic residents in a competency-based curriculum: do the benefits justify the increased costs? Clinical Orthopaedics and Related Research. 2016 Apr;474(4):926-34. Nousiainen MT, Caverzagie K, Ferguson P, Frank J for the International CBME Collaborators. Implementing competency-based medical education: What changes in curricular structure and processes are needed? Medical Teacher. 2016. In Press. Nousiainen MT, McQueen SA, Hall J, Kraemer W, Ferguson P, Marsh JL, Reznick R, Reed MR, Sonnadara R. Resident Education in Orthopaedic Trauma: The future role of Competency-Based Medical Education. Bone and Joint Journal. 2016. In Press. Hoogenes J, Mironova P, Safir O, McQueen SA, Abdelbary H, Drexler M, Nousiainen M, Ferguson P, Kraemer W, Alman B, Reznick RK, Sonnadara RR. Student-led learning: a new teaching paradigm for surgical skills. American Journal of Surgery. 2015 Jan;209(1):107-114. Sonnadara R, Mui C, McQueen S, Mironova P, Nousiainen M, Safir O, Kraemer W, Ferguson P, Alman B, Reznick R. Reflections on competency-based education and training for surgical residents. Journal of Surgical Education. 2014 Jan;71(1):151-158. Sonnadara R, Mui C, McQueen S, Mironova P, Nousiainen M, Safir O, Kraemer W, Ferguson P, Alman B, Reznick R. Response to the letter to the editor regarding: Reflections on competency-based education and training for surgical residents. Journal of Surgical Education. 2014;71(5):652-3. Ferguson P, Kraemer W, Nousiainen M, Safir O, Sonnadara R, Alman B, Reznick R. Three-year experience with an innovative, modular competency-based curriculum for orthopaedic training. Journal of Bone and Joint Surgery American. 2013 Nov 6;95(21):1661-1666. Sonnadara R, McQueen S, Mironova P, Safir O, Nousiainen M, Ferguson P, Alman B, Kraemer W, Reznick R. Reflections on current methods for evaluating skills during joint replacement surgery: A scoping review. Bone and Joint Journal. 2013 Nov 1;95B(11):1445-9. Sonnadara RR, Garbedian S, Safir O, Mui C, Mironova P, Nousiainen M, Ferguson P, Alman B, Kraemer W, Reznick R. Toronto Orthopaedic Boot Camp III: Examining the efficacy of student-regulated learning during an intensive, laboratory-based surgical skills course. Surgery. 2013 Jul;154(1):29-33. Alman BA, Ferguson P, Kraemer W, Nousiainen MT, Reznick RK. Competency-based education: a new model for teaching orthopaedics. Instructional Course Lectures. 62;565-9. Sonnadara RR, Garbedian S, Safir O, Nousiainen M, Alman B, Ferguson P, Kraemer W, Reznick R. Orthopaedic Boot Camp II: examining the retention rates of an intensive surgical skills course. Surgery. 2012 Jun;151(6):803-807. Sonnadara R, Rittenhouse N, Khan A, Mihailidis A, Drozdal G, Safir O, Leung O. A Novel multimodal platform for assessing surgical technical skills. American Journal of Surgery. 2012 Jan;203(1):32-36. Sonnadara R, Van Vilet A, Safir O, Alman B, Ferguson P, Kraemer W, Reznick R. Orthopaedic boot Camp: examining the effectivness of an intensive surgical skills course. Surgery. 2011 Jun;149(6):745-9. Sonnadara R, Van Vliet A, Safir O, Burkitt J, Reznick R. Surgical Boot Camp: A novel approach to teaching basic technical skills to surgical trainees. Journal of Sport and Exercise Psychology. 2010;32(S130).